It is much more than a slogan or catchy hashtag to include on promotional items. 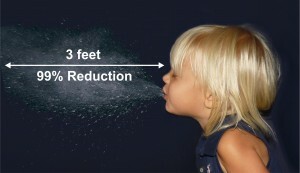 RGF’s mission has always been to provide the world with the cleanest air, food and water without the use of chemicals. To that end, we want to create a buzz and spread the message that products developed and manufactured by RGF are safe, affordable, and do what they claim to do. When you sport your IM4IAQ merchandise, you are expressing solidarity in our mutual mission to provide clean air to the masses. Every homeowner, every child, every employee, every customer, should be able to breathe clean air anywhere they go. The REME HALO® is a powerful whole house air purifier available at a distributor near you. Watch this video to learn how the REME HALO® works. 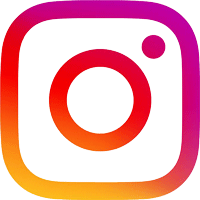 Click on the “Marketing Materials” button below to download your choice of logos, product images, video, web banner, web slider and advertising copy. After placing marketing materials on your business website email talfele@rgf.com with a link to your web page to receive your FREE gift. REME® or Reflective Electro Magnetic Energy, is an advanced oxidation technology developed by RGF Environmental Group to minimize and neutralize indoor air pollutants such as bacteria, viruses, mold, gases (VOCs), odors, pollen, dust, and other airborne particles. REME® uses an electro magnetic energy cell to create ionized hydroperoxides (H2O2), a friendly oxidizer plasma made from oxygen and humidity. This hydrogen peroxide vapor is excellent at killing germs, reducing VOCs and eliminating unwanted odors. 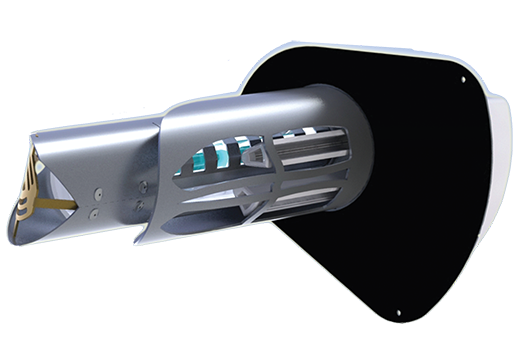 In addition, RGF’s In-duct HVAC unit, the REME HALO®, has the added benefit of reducing airborne dust and particles through bi-polar ionization. Particles will clump together to form larger, heavier particles, which in turn drop out of the air or are caught by your filter. Allergies are one of the most common chronic diseases. A chronic disease lasts a long time or occurs often. An allergy occurs when the body’s immune system sees a substance as harmful and overreacts to it. The substances that cause allergic reactions are allergens. When someone has allergies, their immune system makes an antibody called immunoglobulin E (IgE). These antibodies respond to allergens. The symptoms that result are an allergic reaction. 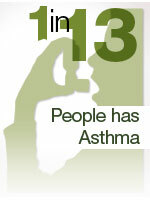 Click here to learn more about asthma. 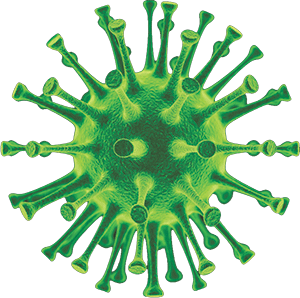 Influenza (flu) is a contagious respiratory illness caused by influenza viruses. It can cause mild to severe illness. Serious outcomes of flu infection can result in hospitalization or death. Some people, such as older people, young children, and people with certain health conditions, are at high risk for serious flu complications. A testing protocol concept was used which included a “Sneeze Simulation Machine” and “Sneeze” chamber. A sneeze can travel at up to 100 mph, so lung capacity, sneeze pressure, and liquid volume had to be taken into consideration to properly simulate a human sneeze. This was accomplished and the test proceeded with outstanding results. An average of 99% reduction of sneeze germs was achieved with PHI/ REME® in a double blind test, at three feet from the sneeze source. *RGF technology is tested and validated by third-party independent labs and universities. Hydroperoxides have been a common part of our environment for over 3.5 billion years. There is no known case of hydroperoxides ever creating a health risk. For over 20 years more than one million RGF advanced oxidation products have successfully been used worldwide without any safety issues. Ionized hydroperoxides are very effective at destroying harmful microbials in the air and on surfaces. As oxidants, they do this by either destroying the microbe through a process known as cell lysing or by changing its molecular structure and rendering it harmless as is the case in VOCs and odors. The amount of hydroperoxides required to accomplish this task in an air-conditioned space is well below the level that is in the outside air. Typical outdoor levels of hydroperoxides run between .01ppm and .03ppm. The REME HALO® can bring the hydroperoxide level in a home up to no higher than .02ppm. This is well below the EPA safety guideline of 1ppm. RGF manufactures over 500 environmental products and has a 34+ year history of providing the world with the safest air, water and food without the use of chemicals. RGF is an ISO 9001:2015 certified research and innovation company, holding numerous patents for wastewater treatment systems, air purifying devices, and food sanitation systems. Situated in the heart of the Port of Palm Beach Enterprise Zone, RGF Headquarters span 7.5 acres, with 106,000 square feet of manufacturing, warehouse and office facilities. RGF has recently upgraded their facilities, creating an increased vertical approach to manufacturing, further allowing the company to provide the highest quality and best engineered products on the market.